“Coal is China. China is coal.” That was the summary given by the International Energy Agency in 2012 as it attempted to contextualize the global industry. At that time China was producing and consuming half of the world’s coal. Across China, around 2,600 coal-fired power stations keep the world’s second-largest economy running. They also churn out billions of tonnes of greenhouse gases. This infographic – an interactive version of which can be found here – shows every coal-fired power station currently operating, or under construction, in China. But China’s relationship with coal appears to be changing. According to the Institute for Energy Economics and Financial Analysis, global consumption of coal peaked in 2013 and China’s reduced use was a big driver in the worldwide fall. According to a recent paper published in the Nature Geoscience journal, China burnt 4.2 billion tonnes of coal in 2013. But a year later, consumption was down by 2.9% and 2015 saw another decrease of 3.6%. The report’s authors are confident that China has passed its peak use of coal decades before many commentators had predicted. 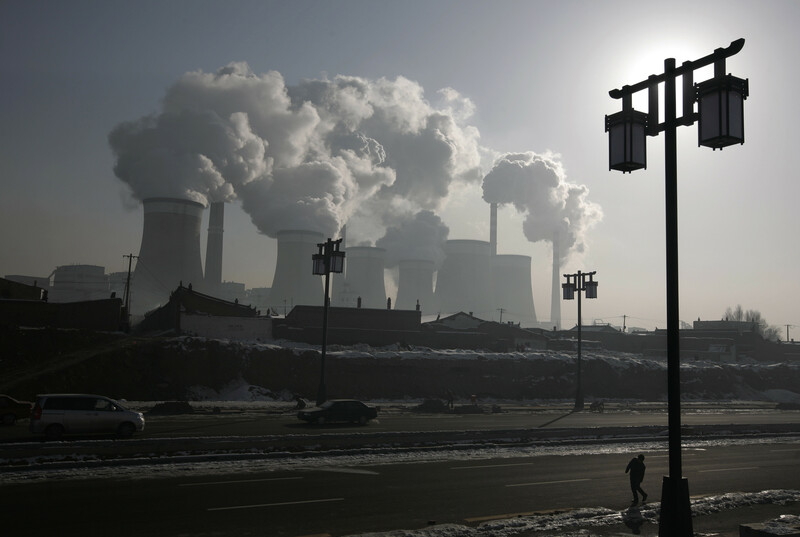 Nicholas Stern, a climate economist at the London School of Economics who co-wrote the report with colleagues at Tsinghua University in Beijing, said China’s coal peak was a pivotal moment in the fight against climate change. China’s investment in coal infrastructure also appears to be going into reverse. In April, the National Energy Administration announced plans to scale back on the construction of new coal-fired power plants across the country. The executive secretary of the UN’s Framework Convention on Climate Change, Patricia Espinosa, welcomed the signs that China is becoming less reliant on coal. As the use of coal falls, the race for renewables is gathering pace. China’s Renewable Energy Industries Association says solar energy production was up 28% in the first half of 2016. Wind and hydro power production has also increased by 13%. 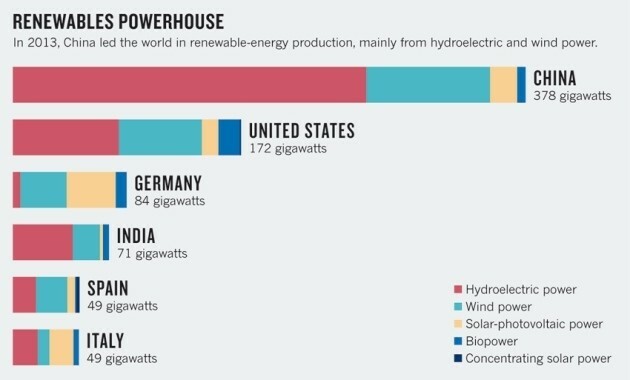 This is in line with an existing trend that has seen China lead the way in renewable energy investment.